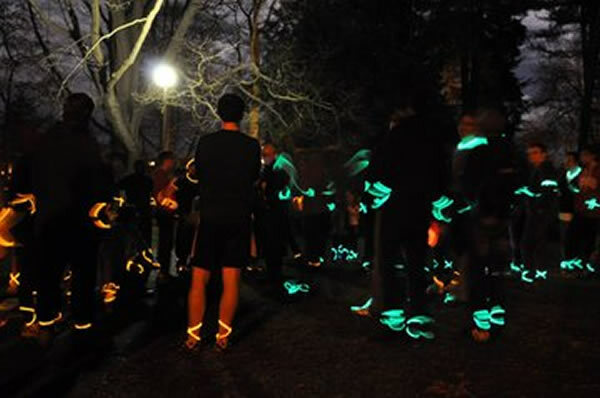 night runs – ActiveDark.com – Glowing Ideas! 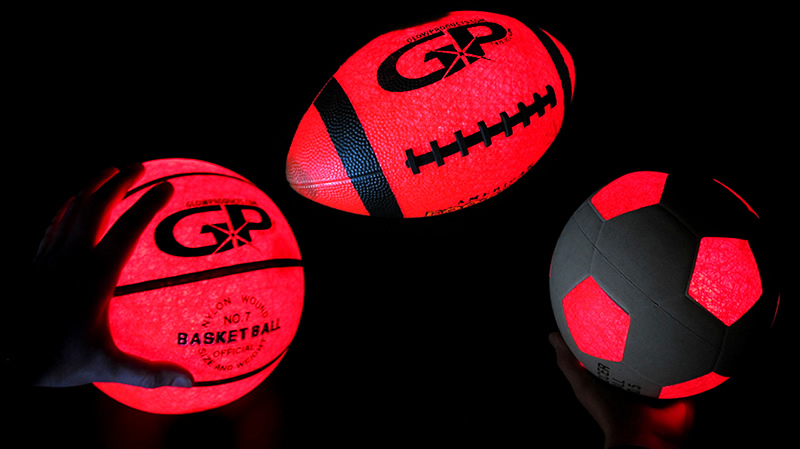 What better way to enjoy a warm summers eve than playing some fun glow sports with good friends! Today we will look at a few ideas on how to light up your team with glowing color! For one time outings or charity events, one time use products may be suitable. 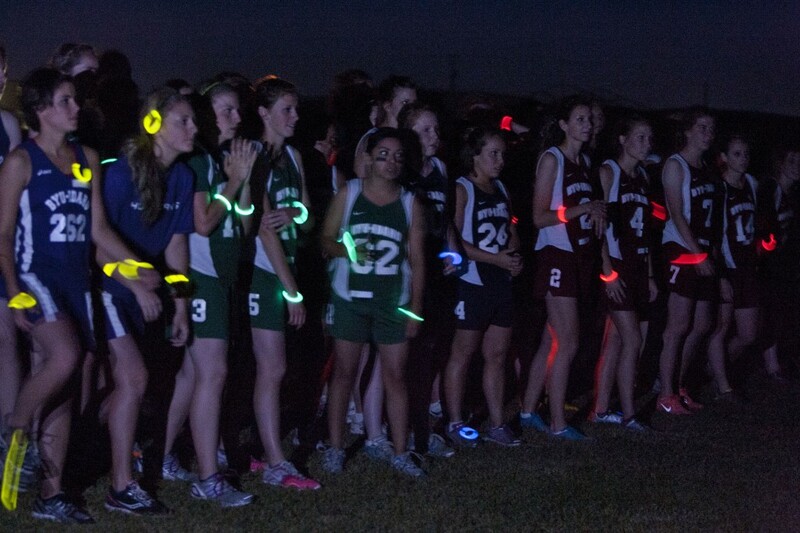 You can use Glow Necklaces and Glow Bracelets in specific colors to help define your teams. These Glow Sticks are only a one time use and will last for a good nights worth of glow. Since you will be using these for high activity sports, we recommend that you use Industrial Strength Premium Glow Necklaces and Premium Glow Bracelets to eliminate any chances of leaks. If you are a sports league or local team that is looking to play on a regular basis, you may be looking for something with repeated uses. 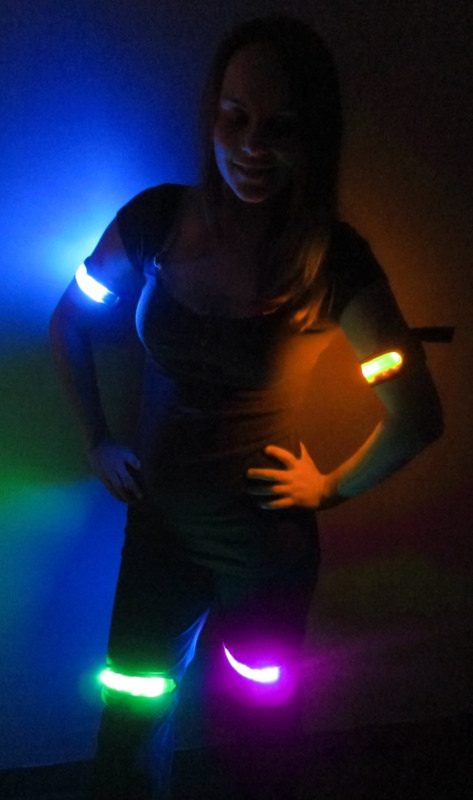 Battery Operated Glowing LED Safety and Sports Bands are the latest addition to night sport accessories. 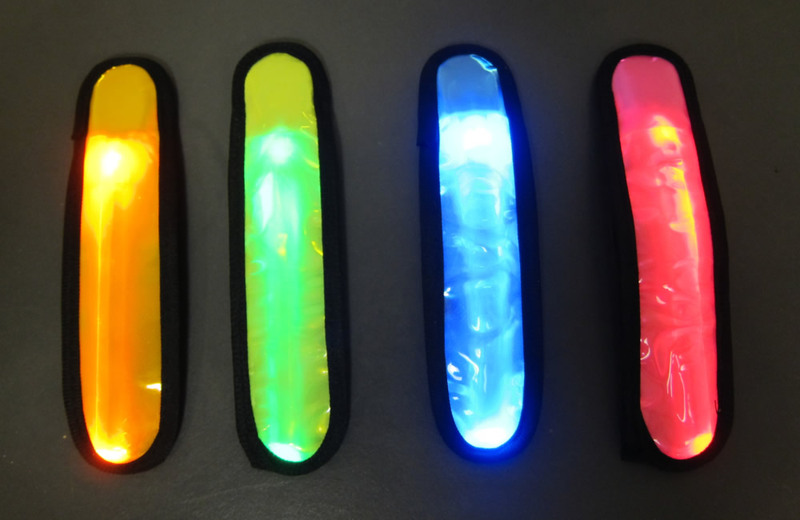 These Glowing Arm Bands use replaceable batteries so they can be used multiple times and are highly visible due to the bright LED lights. Now you can light up your soccer teams, football buddies, basketball players, marathon team, bike riders or even golf group with bright glowing colors! Now just add in a bright Glowing Sports Ball of your choosing and your all ready for some great night time team play sport activities!